Minnie surprises Mickey for his birthday and (spoiler) he gets a piano, which he plays with Minnie. The rest of it is singing, dancing, playing instruments. 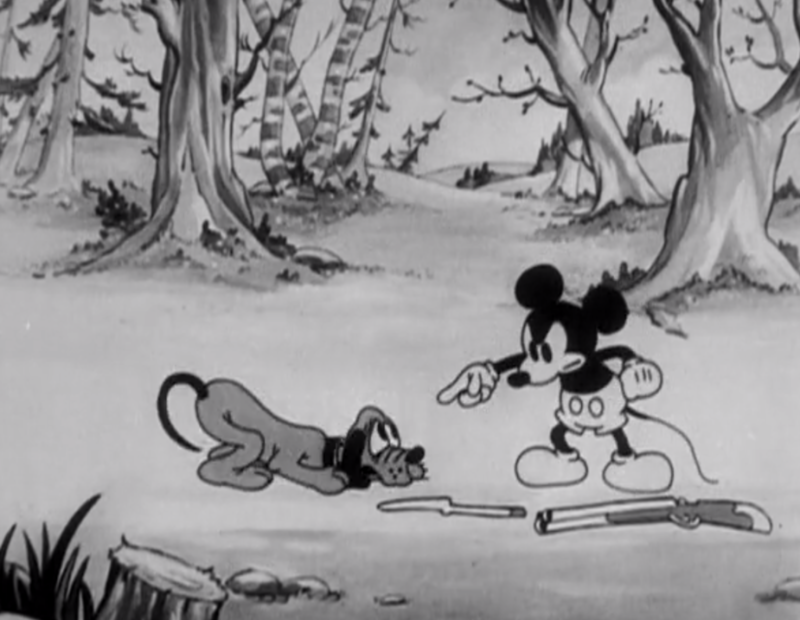 Nothing new or special here, except that Mickey abuses exactly zero animals in this one. Maybe this is the beginning of Mickey as a less sadistic character. 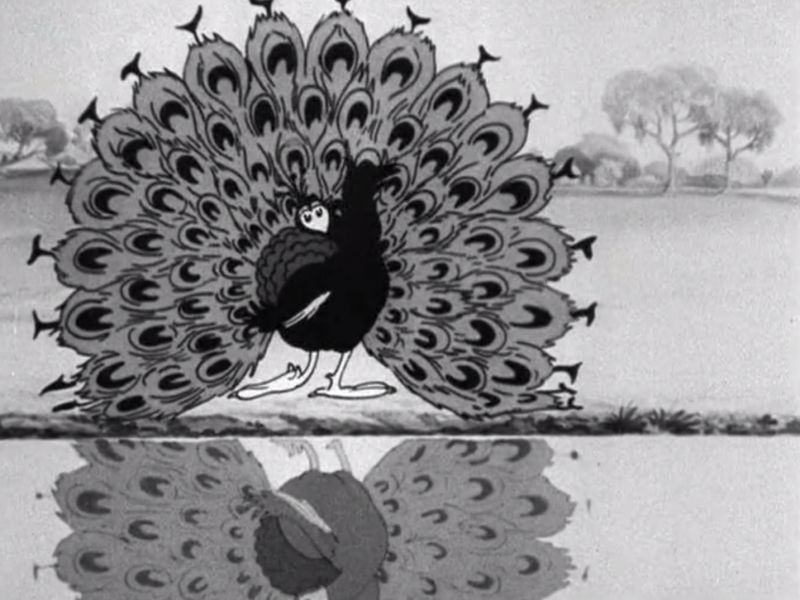 This is a simply musical short with birds swimming, strutting, and singing with the music. You can tell Disney is trying to branching out from the low-humor physical gags of the Mickey cartoons into something a little more high class. The result is … fine. There’s a pretty good chase scene in the second half and it’s refreshing for me after watching so much of the same from the Mickey cartoons, but not really a up to “classic” level . 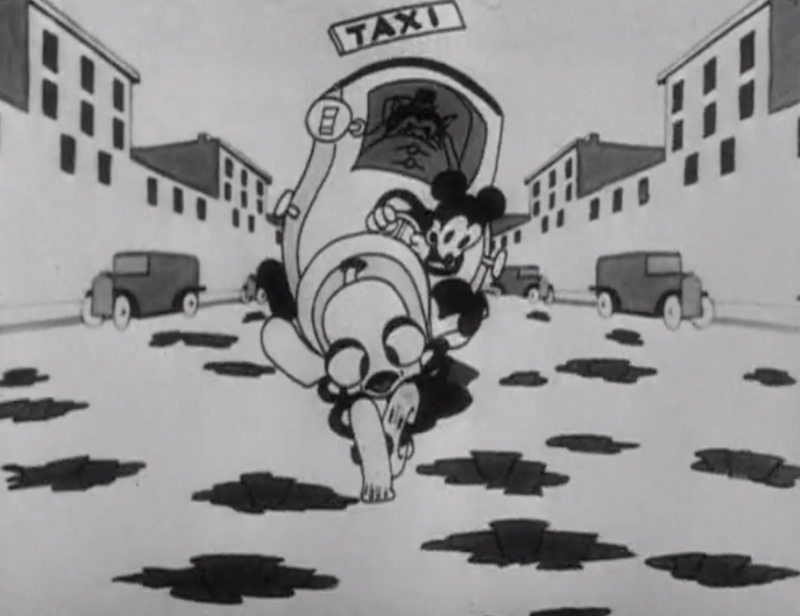 Mickey is driving a cab in the city. That’s pretty much it.There are some fun anthropomorphic car gags and fortunately we’re back to good old animal-abuse-Mickey in no time at all. 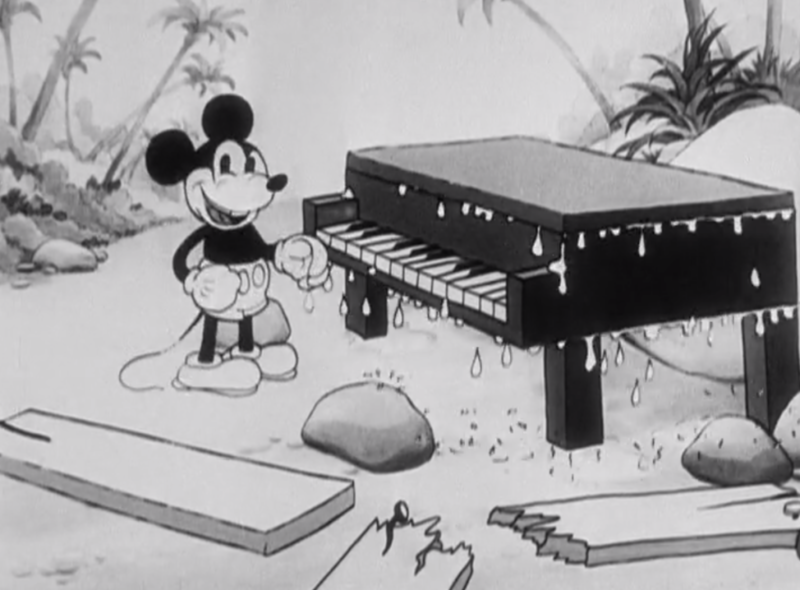 Mickey is adrift on a raft and finds safety on a deserted island, where he finds… a piano? OH COME ON! I feel cheated here, especially when we get the same seal-dancing gags we got in Wild Waves. 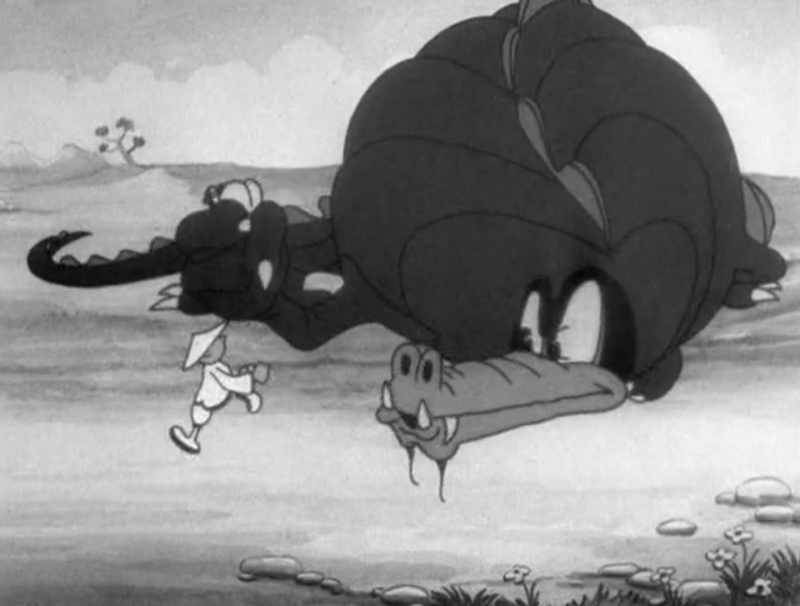 The Silly Symphonies can be hit or miss, but they are definitely a higher level of orchestration. This features Ole King Cole, Mother Goose, Little Miss Muffett, Jack and Jull, Simple Simon, Little Bo Peep, etc. This is the first cartoon that seems to be drawing from the well of literature and fables that both Disney and Warner Brothers would use extensively over the next 3 decades. It doesn’t stick with one story, instead flying through a bunch of them to increase audience recognition. Mickey and Pluto go on a hunt, in theory. Mickey is a terrible shot and hits nothing. Pluto is a entertaining (I didn’t know Pluto could talk!). It’s definitely a narrative driven short, which is always nice. This is very different from anything we’ve seen before. Stereotypes aside (this is the 1930’s, you’re gonna see some stereotypes) you can see the animators branching out, trying new kinds of characters and new music as they animate a foreign culture. They story is an endearing little story of love and peril told through the pattern of a china plate. I loved it. 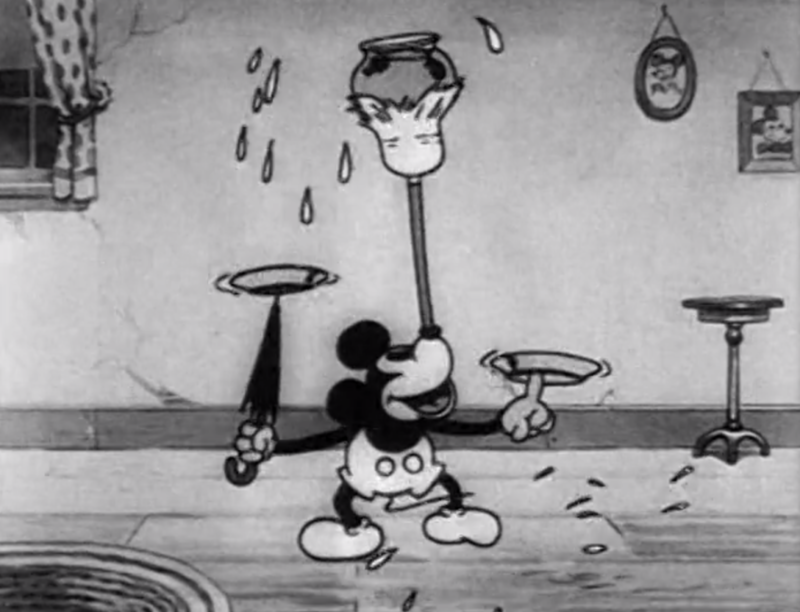 Mickey and Pluto run a delivery cart and happen upon Minnie washing clothes (as you do). 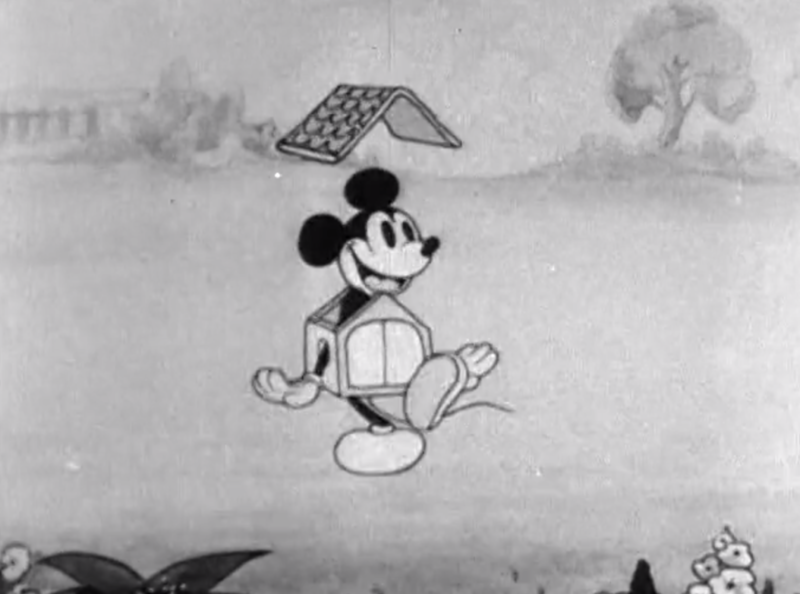 Mickey abuses his horse, a bee hive, a turtle, some ducks, and Minnie. 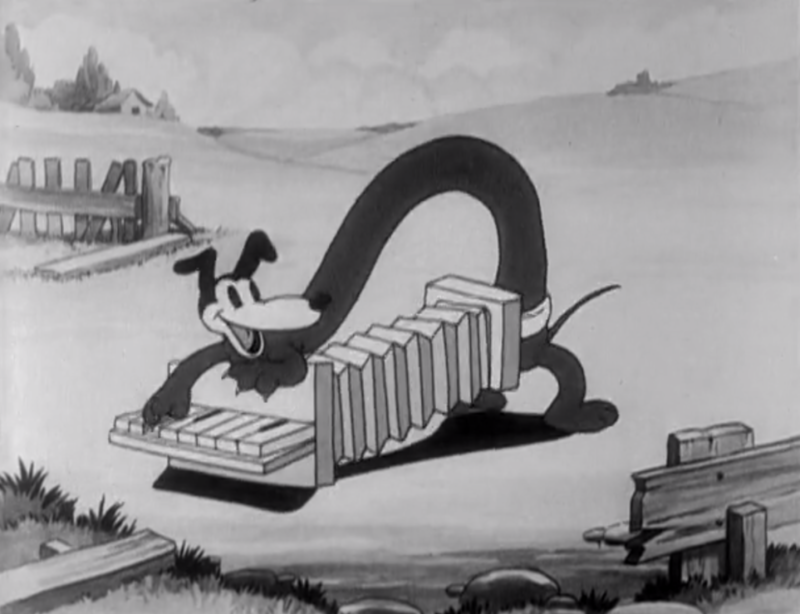 Oh, and it turns out Mickey was delivering a bunch of instruments, including… a piano?!? OH COME ON! I feel like the title “Delivery Boy” was a bit of a pretense. Singing dancing beavers work to make their dam. 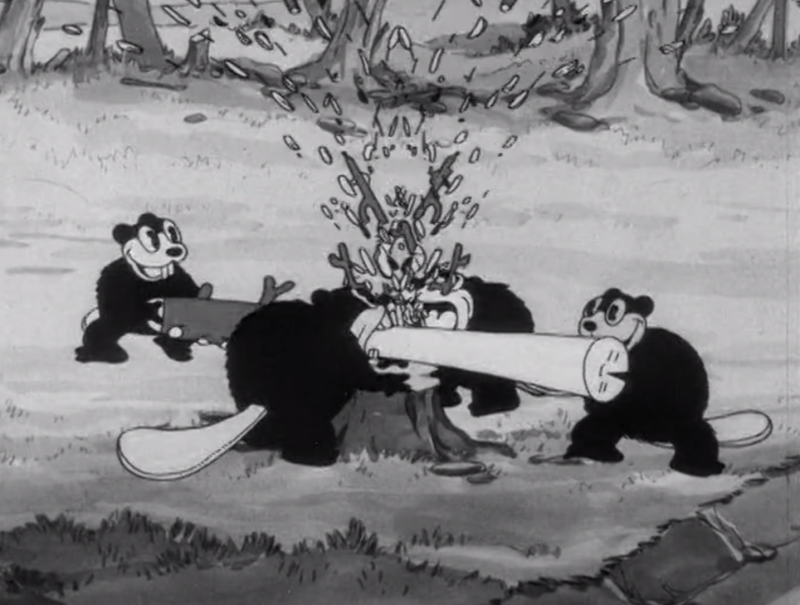 Lots of nice gags turning the beavers into little construction workers. It’s slow getting started, but there’s a nice little story about the little beaver who saves the community from the raging storm. Very 30’s, much melodrama. Mickey heads out on what seems to be a date with Minnie. He dances his way there and arrives to her playing the piano. They sing and dance. They try to liven things up with some antics from Pluto chasing a cat, but it’s ultimately pretty inert. 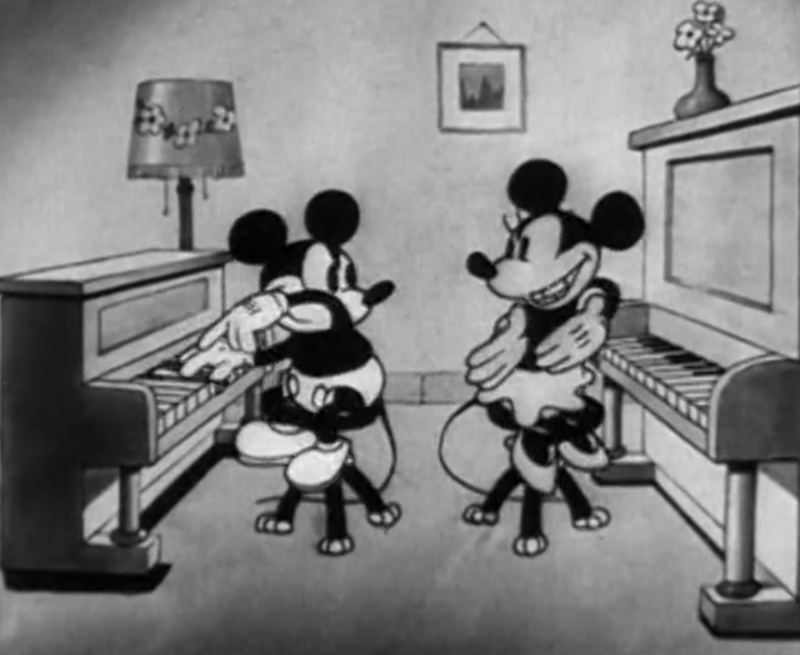 Hold on to your hats because you’re about to see Mickey playing a piano in a concert hall! 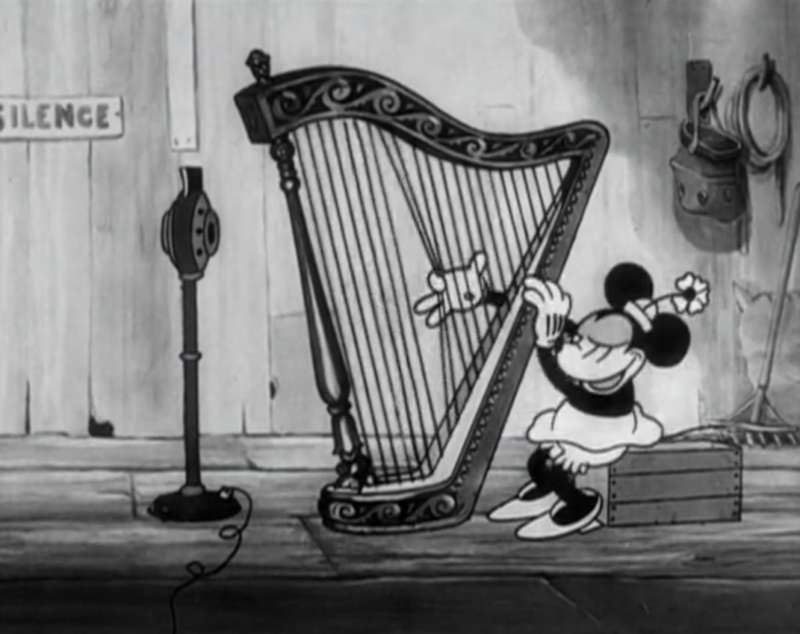 Minnie makes an attempt at singing the blues, and it’s… terrible. 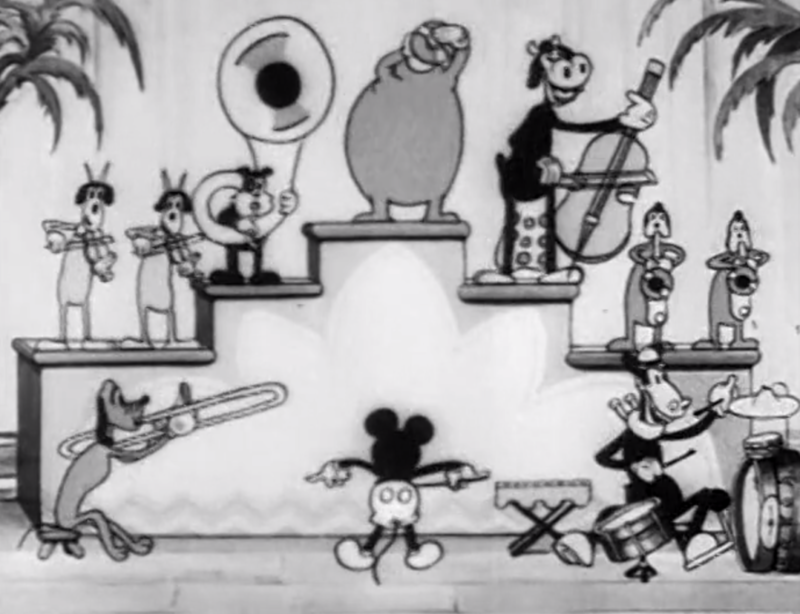 Eventually we get Mickey conducting a small orchestra of animals, but it’s so much more of the same I can’t even find anything to say about it. The whole thing feels completely phoned in. 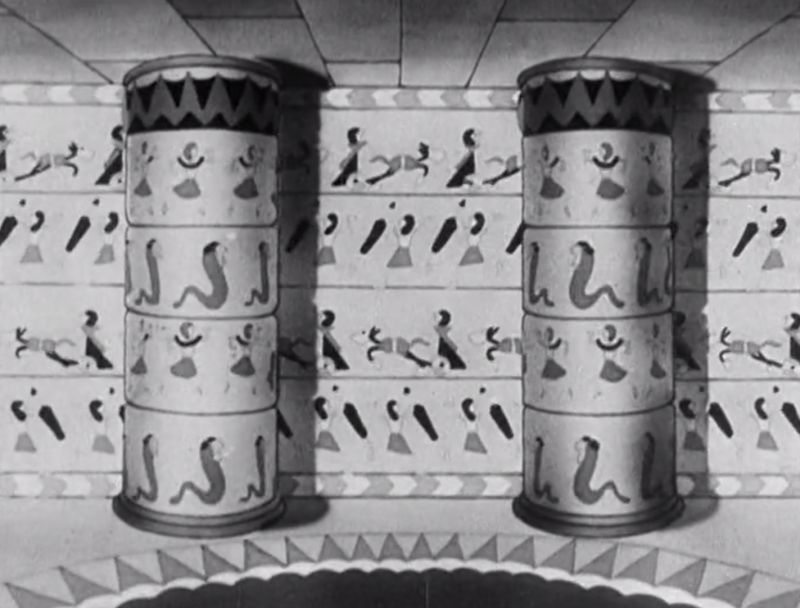 This starts off with a really interesting first person walk through a tomb inside a sphinx. 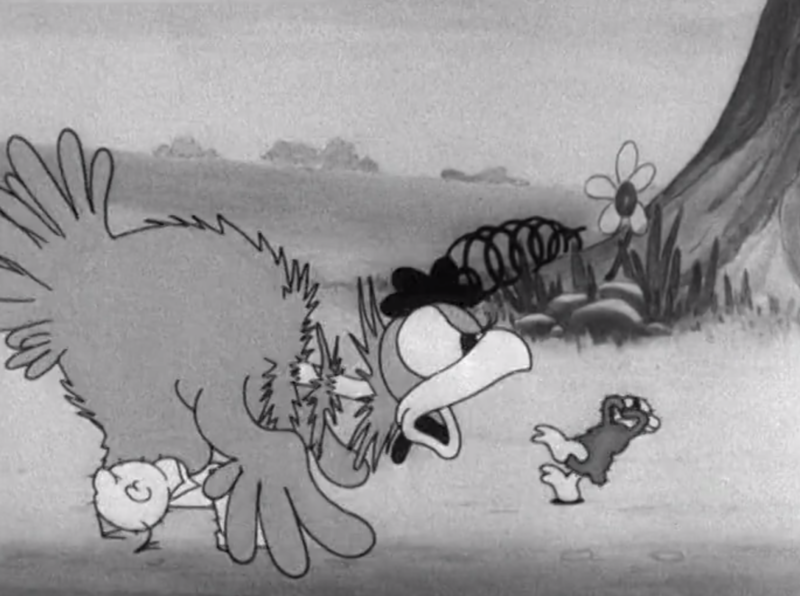 I don’t think anyone but Disney was experimenting with this kind of 3D first person animation at the time. It’s a bold experiment (that they quickly abandoned) but kudos to them for giving it a shot. Other than that, this short isn’t great. A few decent gags inside a concept that never really gets off the ground. The hieroglyphic storyline is an innovative concept, but it ultimately falls pretty flat (no pun intended). 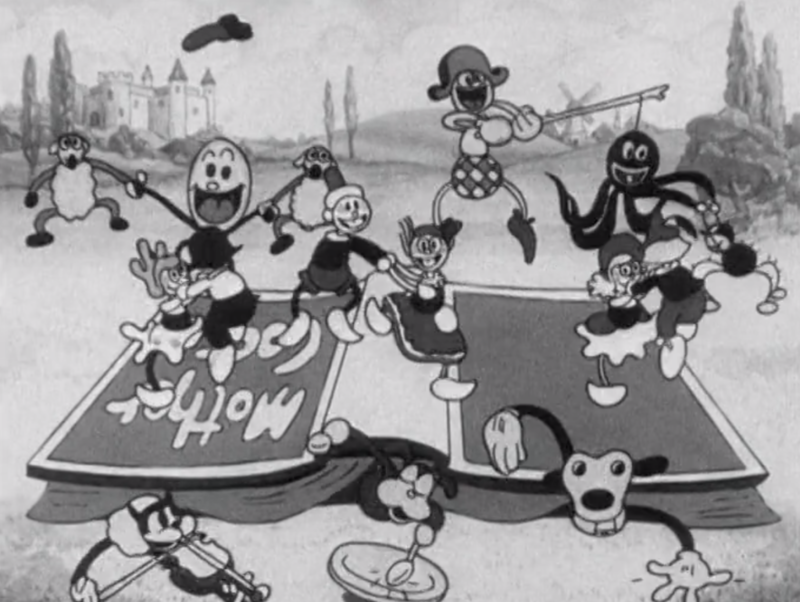 Mickey and the gang (Minnie, Horace, Clarabelle) play their music for a radio broadcast. It’s another musical performance-based short. 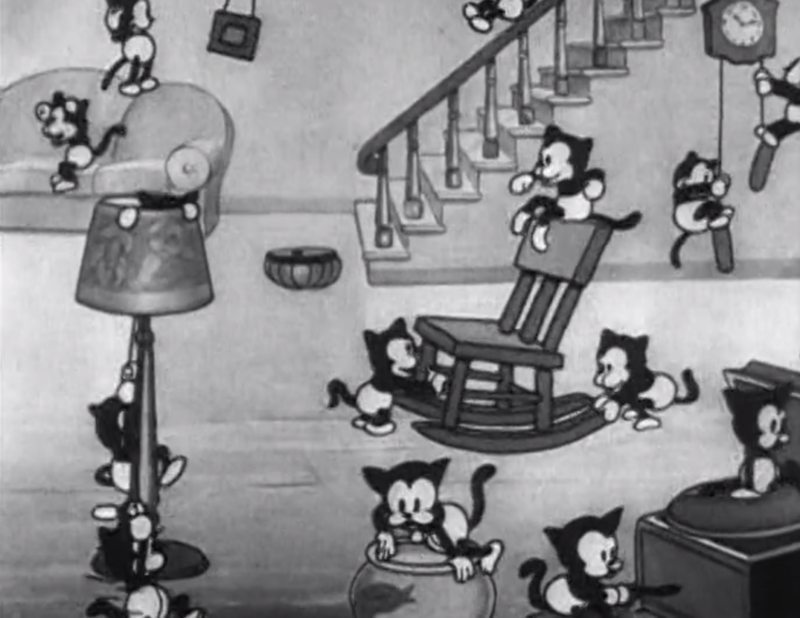 Half-way through some kittens enter the broadcasting studio to wreak some small havoc, but this is insufficient to save the cartoon from being more of the same. The Mickey gang is really starting to solidify here. 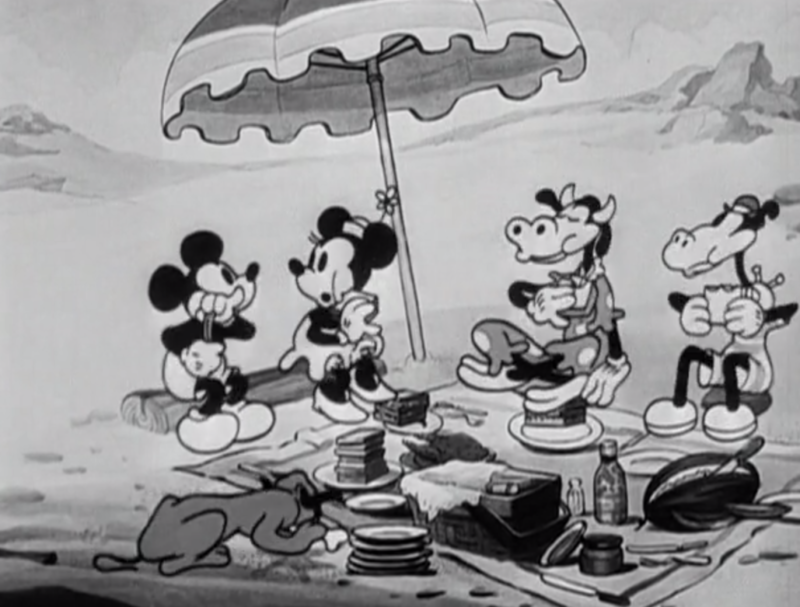 It’s Mickey, Minnie, Horace Horsecollar, Clarabelle Cow, and Pluto. They all go to the beach and have a picnic. They are interrupted by an octopus attacking Pluto, which starts a beach battle. At least there isn’t a piano. Mickey is landscaping his yard and generally goofing around. While impersonating a bird, he is attacked by a cat. He then briefly impersonates a turtle, then a house. Probably the most interesting thing here is the shift from singing and dancing toward slapstick comedy. Disney has started playing Mickey as a little more of the straight man to Pluto’s goofy havoc wrecker. Mickey and Minnie are preparing for Christmas when a mysterious stranger drops off a litter of kittens on their doorstep. The kittens wreak havoc on the Mouse household until Mickey dresses up as Santa and inexplicably gives them a series of remarkably destructive toys, at which point they tear the house apart. A set of chicks are born and one of them is an ugly ducking, who is spurned by his mother. It’s super sad and very much in the spirit of the silent melodramas of the 20’s and early 30’s. When a tornado comes to the farm, the ugly ducking heroically saves his siblings, earning his mother’s love.